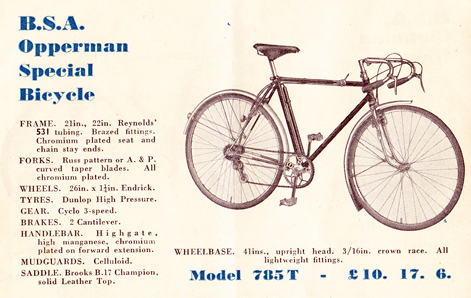 This delightful pre-war BSA provides some interesting insights into cycling history. It celebrates the achievements of Australian cycling hero Hubert Opperman. Further down the page you can read about Opperman (“Oppy”). 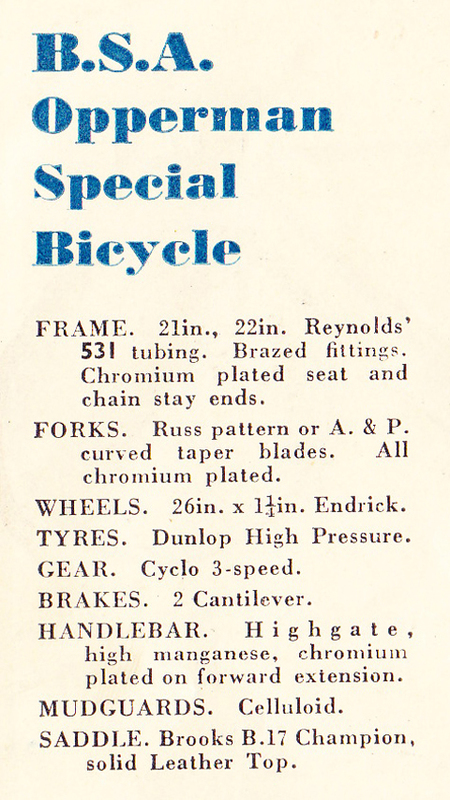 But as well as being a rare and sought-after model, this particular machine is also somewhat unique in retaining its original BSA guarantee and some correspondence from early 1937 which helped confirm its age. 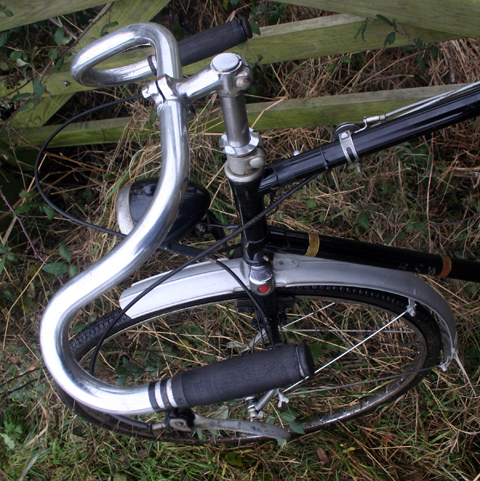 It’s fitted with top-of-the-range Reynolds alloy racing handlebars. 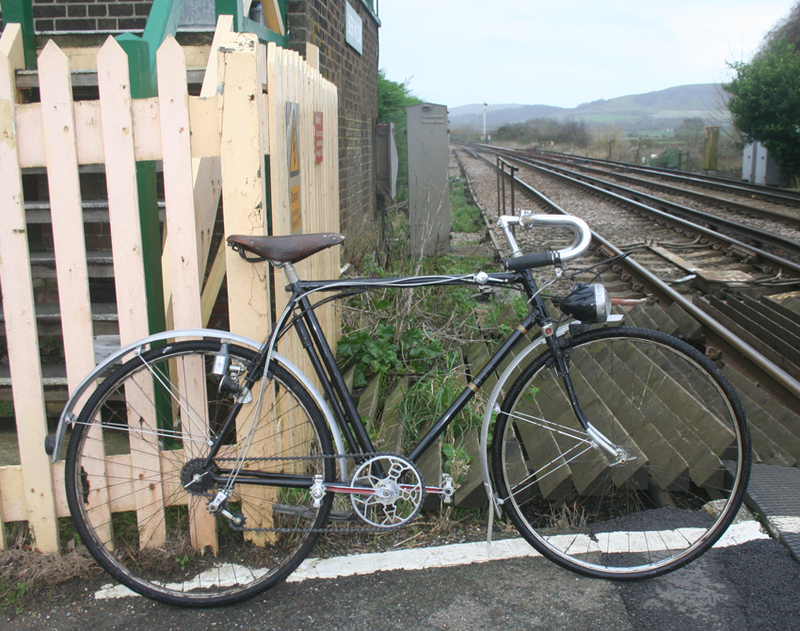 I’ve been using the BSA Oppy around the local countryside, and I’ve been impressed as it is a pleasure to ride. 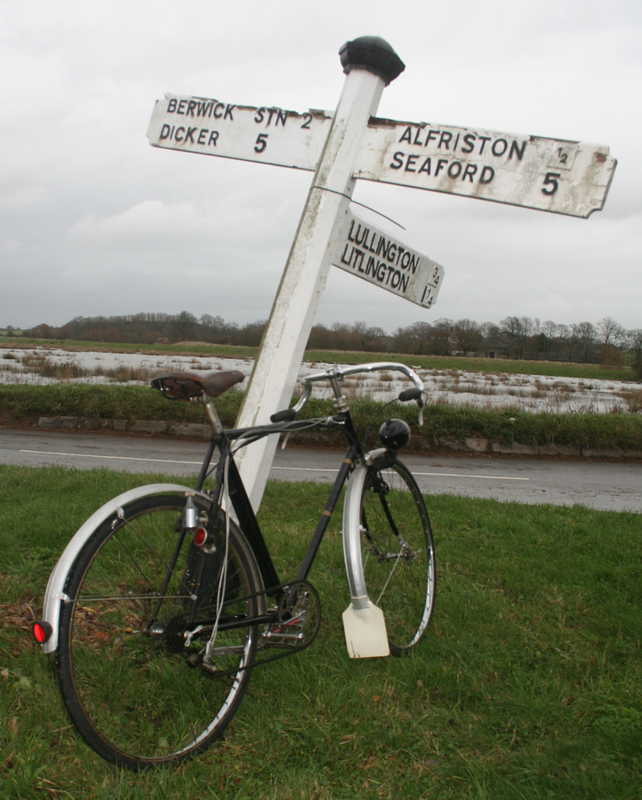 I’m more used to riding ‘old black bikes’ than lightweights. 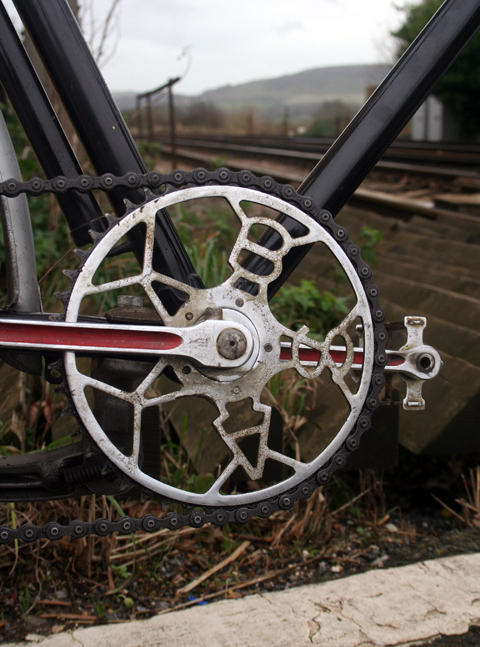 Most of my bikes have conventional gears. The only problem I had was a snapped gear cable. 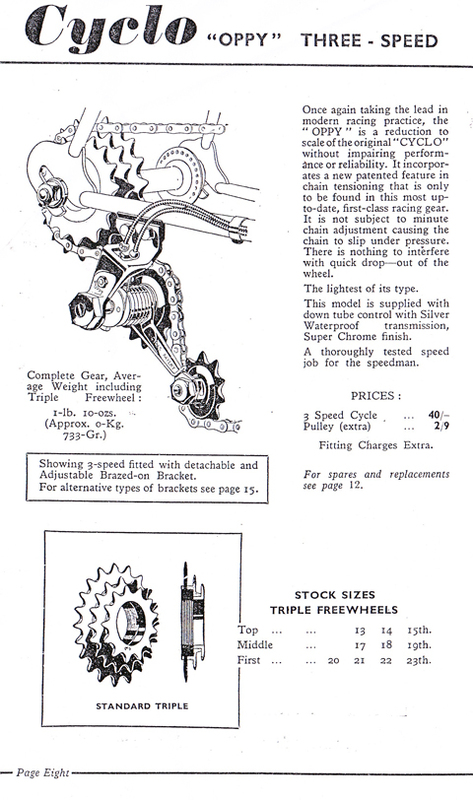 I bought a complete new-old-stock cyclo gear mechanism and it’s now fitted to the bike. It’s actually for the next model of Opperman Special. I always prefer original, but could not pass up the practical opportunity of renewing the cyclo gears. You can compare the new trigger (above) with the original trigger (below). I’ve kept the original one and I’ll include it with the bike when it’s sold. Just to avoid confusion, the pictures below were taken before the cable snapped, so they show the old trigger. The paintwork is in very good original condition. 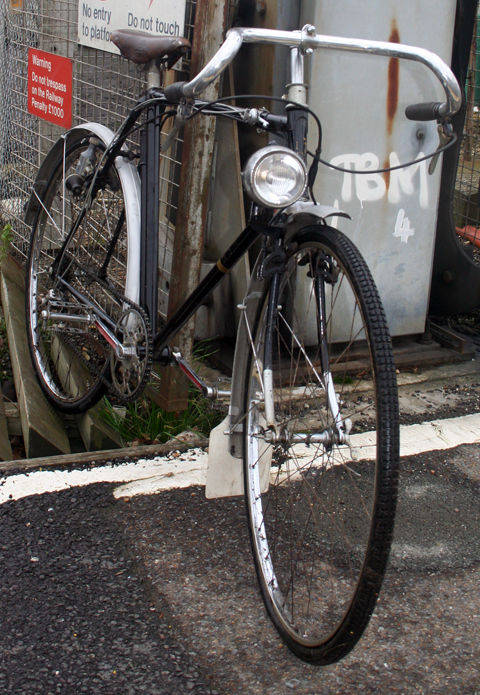 The head transfer is fading but just about discernible (above), while the BSA logo (below) can still be clearly seen. 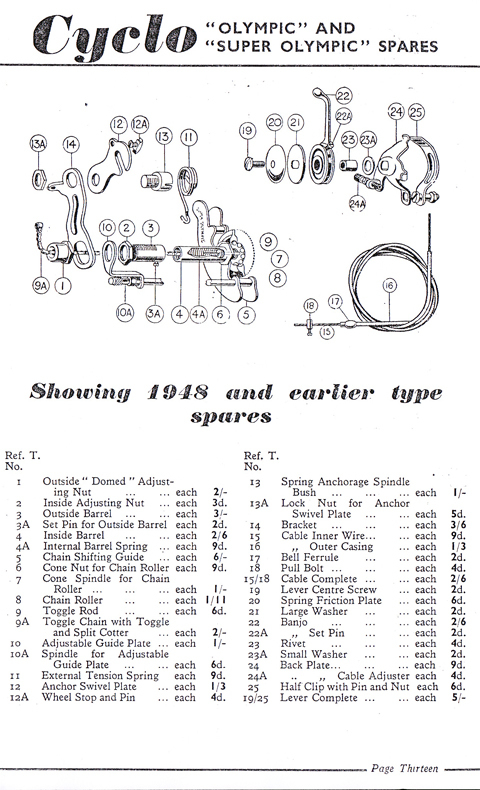 Below, you can see the 1938 catalogue, illustrating a few differences. 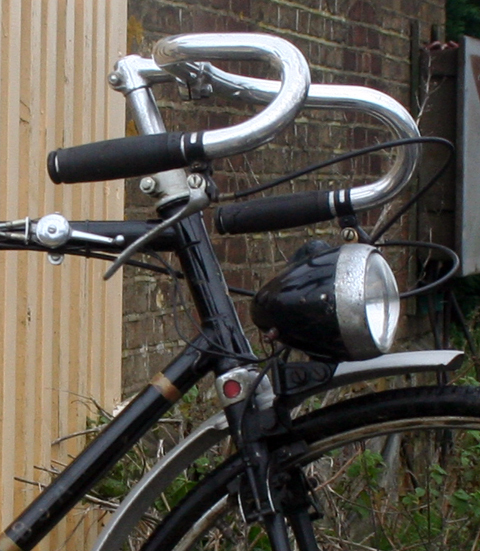 For example, the air pump on the later Opperman Special (Model 885T) is positioned in front of the seat tube, whereas the fitting for the Bluemells pump on my earlier model is behind. 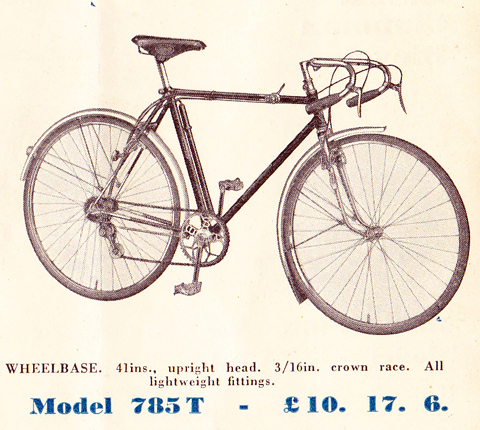 The saddle on mine is a correct Brooks B17, as per the spec in the 1936 catalogue. 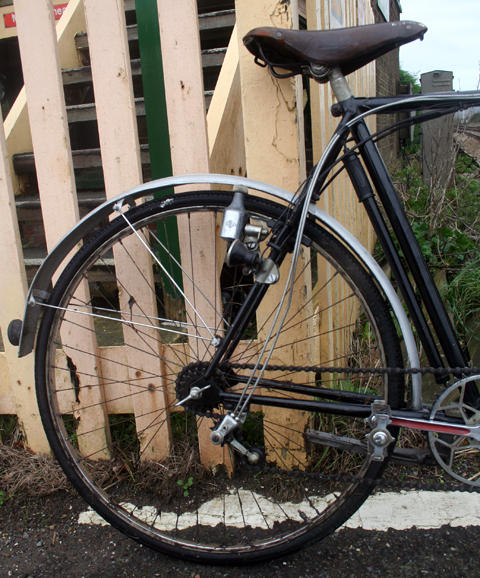 The other differences on mine are metal mudguards (I prefer metal, as I have a habit of damaging original celluloid ones, which become brittle after 70 years or so). As mentioned before, my handlebars are Reynolds. Here’s a handlebar chart in case you need one for reference. Malvern Star is an Australian icon. The guiding force behind the company was Bruce Small, an entrepreneur, promoter and salesman who bought the company and its small suburban bicycle shop in 1920, and developed it into one of Australia’s largest manufacturing and retailing enterprises. One very important aspect of his business was the BSA franchise which Bruce Small obtained in 1935, after ruthless dealings with other competitors. 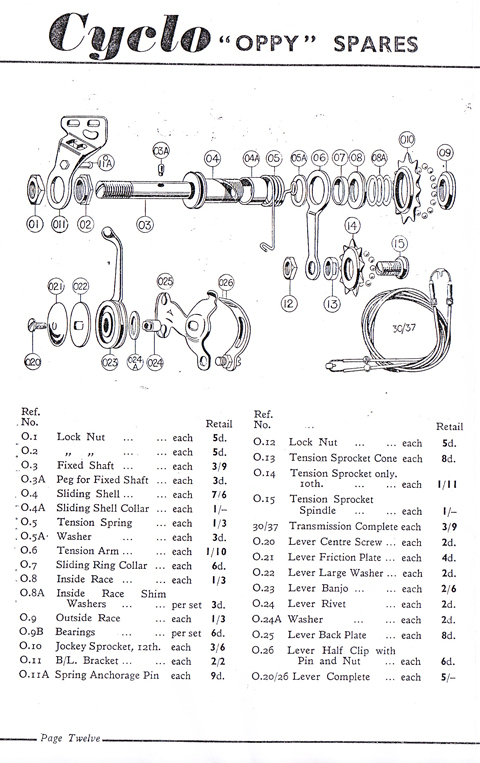 This was essential to his company, as BSA was a manufacturer of quality bicycle accessories and components. The BSA franchise gave him a ready overseas and interstate market. The 1936 Malvern Star catalogue below displays the BSA ‘Piled Arms’ merged into the Malvern Star logo. I think BSA must have complained about the misappropriation of its trade mark logo, because the Malvern Star catalogue of the following year shows a traditional BSA logo. Bruce Small was also a sports’ promoter. The racing industry was his forte and he encouraged it exclusively. It was his partnership and friendship with Hubert Opperman which secured a bond. ‘Oppy’, as he was now to friends and acquaintances alike, had begun his racing career at the age of sixteen, in the same year that Bruce Small began building his bicycle empire. 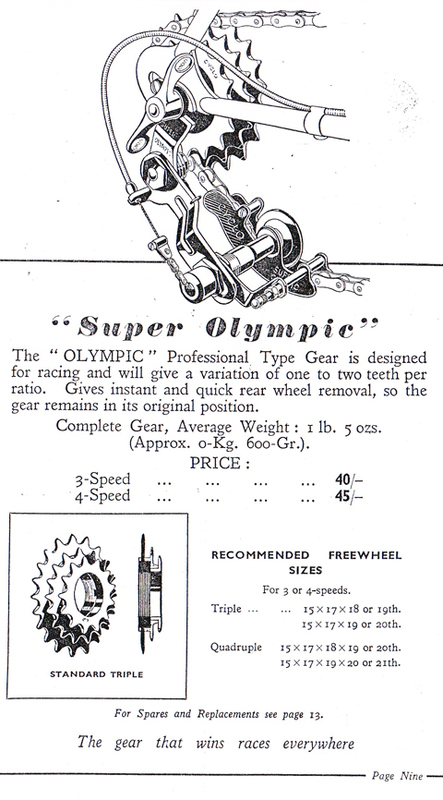 The first race that Oppy won was the Senior Cadet Road Championship in 1921, a ten-mile race. The following year, he rode the fastest time in the Launceston to Hobart race. His connection with Bruce Small and Malvern Star came in the 1923 Malvern Star 25-mile Event in which he achieved the fastest time. The following year, he again achieved the fastest time in the Malvern Star 50-mile Event. He competed, with Malvern Star’s sponsorship, in an additional forty events by 1930. In 1936, he achieved a great feat in the Brisbane-to-Sydney event, a distance of 651 miles. He began on 15 October and completed the distance in 47 hours 10 minutes. In doing so, he lowered the road record by 45 hours 9 minutes. The previous record had been held by Les Cecil of Queensland, who ten years earlier had established the record of 3 days 20 hours 19 minutes. His previous year’s antics had occurred in England. On 16 July, 1935, he broke the London-Bath-London record in 10 hours 14 minutes 42 seconds. That same month, on a similar ride over the same distance, he tandemed with another famous cyclist, Ern Miliken, and broke the previous tandem record held by C. Marshall and L. Cave of 9 hours 45 minutes 13 seconds. Miliken and Oppy’s time was 8 hours 53 minutes 34 seconds. L-R: Bruce Small with Hubert Opperman and his wife Mavys. 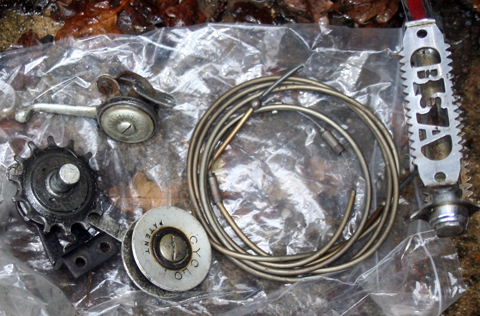 The original trigger (above); now removed and kept for spares (below).